Needless to say unlicensed dentists are hazardous to your health! But unethical dentists can do even worse! DO NOT OPEN YOUR MOUTH FOR EITHER ONE! YES, There are UNLICENSED dentists doing dental work on unsuspecting patients! For every fake dentist that is caught, there are probably ten that do not get caught. Just like for every one law breaking citizen that gets caught there are probably 10 that do not get caught! Are you able to spot a FAKE dentist? Chances are you think you can, but in reality chances are you do not know enough about dentists to spot a fake. Thankfully it does not matter if you can spot a fake dentist. The internet is a powerful tool if you know how to use it to search for the truth. Instead of focusing on avoiding a fake dentist, just make sure the dentist you are considering is licensed. BEFORE DECIDING ON A DENTIST make sure the dentist that you are considering is licensed in Ontario. Here is the database of ALL licensed dentists in Ontario. The quickest and most accurate way to use this data base is to type in the first and last name of the dentist you are considering (make sure the spelling is correct) and click “Search” at the bottom of the page. Make sure that one of the search results is the the dentist you are considering by double checking that the address in the search result matches the dentist you are considering. An unlicensed dentist is not the best dentist, it is a dentist you should avoid, it is a dentist that will NOT appear in this data base. Police officers swear an oath “to serve and protect” and “to behave honourably with integrity and never betray public trust”. 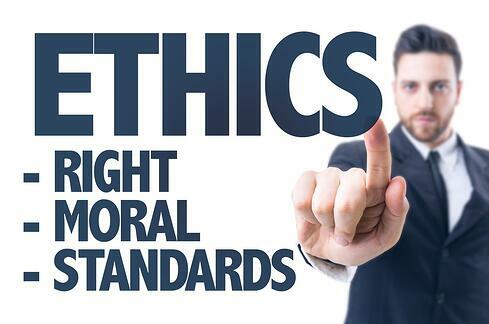 Dentists have the same ethical and professional responsibilities. There is no screening test for integrity before entering a profession. Can an unethical person be trained to be ethical? Hence, in every field, profession and walk of life there will be those who adhere more and those who adhere less to doing the “right thing”. Hence, for professions (eg. dentist, doctor, police officer) where an unethical member can do great harm to others we have the equivalent of the police force’s “Internal Affairs”. The “Internal Affairs” of dentists in Ontario Canada is the Royal College of Dentists of Ontario (“RCDSO”). Every jurisdiction around the world has a dentist governing body like this. i) Scratch this dentist off your list, it is NOT the best dentist. Find another dentist. e) There is one more list that you do not want the dentist that you are considering to appear on: A list of dentists that are currently under investigation. Keep in mind that for every dentist that is found guilty of unethical or unprofessional acts there are probably ten that did not get caught. Just like for every law breaking citizen that gets caught there are probably 10 that did not get caught. Your best defence against uncaught unethical dentists is to learn more about dentists and dentistry, become a discriminating patient: a patient having a refined taste and good judgement. If you are curious about which dentists and the type of unethical behaviour that these dentists have done, go to the Dentists Subject to Discipline, this is a list of all the dentists that have been found guilty of unprofessional behaviour with links to the details. THE RECORD FOR THE GREATEST REPEAT OFFENDER GOES TO A CAMBRIDGE, ONTARIO DENTIST! Found guilty FIVE times! He is still allowed to practice?! A fake dentist and an unethical dentist are not the best dentists, these are dentists that you want to avoid. Now that you know how to avoid the wrong dentist, be careful of another potential hazard: choosing a dentist near you.